The rumours have been true! 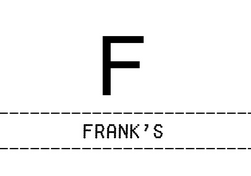 GMD can confirm the highly anitcipated re-opening of Frank’s Café is happening!! the unique rooftop bar opens it’s doors to customers from the 6th June 2014. The bar has an open air & cosmopolitan vibe that is quinessentially the epitomie of summer in London. Once you have tested their new cocktail menu and soaked up the panaramic views of the city you can unwind with the house menu with tasty treats from Buffalo chicken wings & blue cheese crème fraiche to Jerk chicken thighs with sweetcorn salsa and potato salad. Frank’s is definatly the one of London’s best kept secrets! Love Magnum? 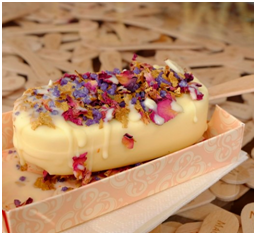 Selfridges have opened up an exclusive popup where you create our own personalised ice cream! ever wanted more sprinkles or more chocolate on your icecream?Well at selfridges Magnum have gone one step further, as well as teh usual toppings now you can also add rose petals, marshmallows and chilli flakes! when you have finished you customisation you even get a pretty little box to display your masterpiece, The GMD team are heading down to get ours before they are all gone. Until August 30, opening hours same a Selfridges. 400 Oxford Street, London, W1A 1AB. The Counter Cafe in Hackney are celerating the 4th of July in style! With an LA themed evening of special cocktails, great food and live music! Why not transfrom your regular friday night into a fun evening out, this event is only £5 so just turn up from 6pm and be ready for an all American extravaganza. Follow us @girlmeetsdress /Instagram /subscribe to our newsletter for exclusive offers and competitions. Posted July 4th, 2014 in Celebrities in Girl Meets Dress, Features, Uncategorized. Tagged: Frank’s Café, Girl Meets Dress, GMD, london, Magnum, Selfridges, The Counter Cafe, What to do in London.